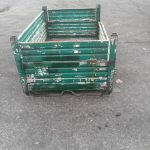 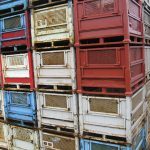 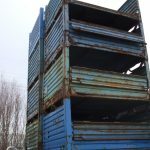 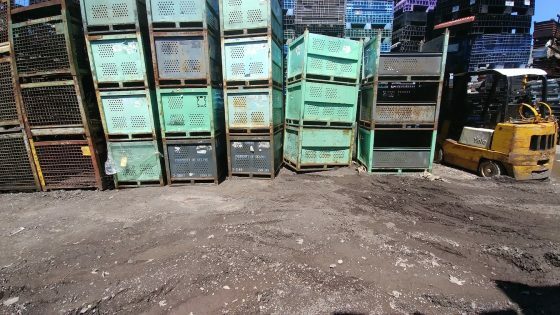 Item #755 Steel Vented Bins 36″ x 48″ x 36″ o/h (28″ ID), top stacking pins, runners, gates, 3/4″ diameter vent holes. 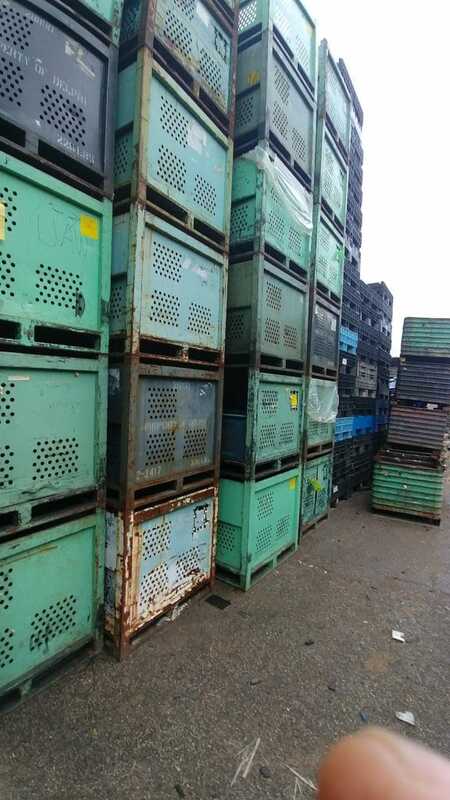 4 vent holes in some floors of the bins and some of the bins have no holes in floors. 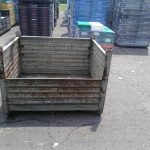 Price: $239/each, plus freight quoted separately, subject to prior sale, payment required before shipping.